The Nigeria Union of Journalists (NUJ) national secretariat has condemned as ‘frightening’ the invasion yesterday of its Kaduna State secretariat during a press conference held by Senators Shehu Sani (Kaduna Central) and Suleiman Hunkuyi (Kaduna North); where at least one journalist working for Liberty TV/Radio was injured in the violence that ensued. According to Sen. Sani the hoodlums were sponsored by the Kaduna State Government. He said the press conference was planned to protest “manipulation of the party (APC in Kaduna)” by Gov. Nasir el-Rufa’i with whom he has been having running political battle since both officials came to their offices in 2015. 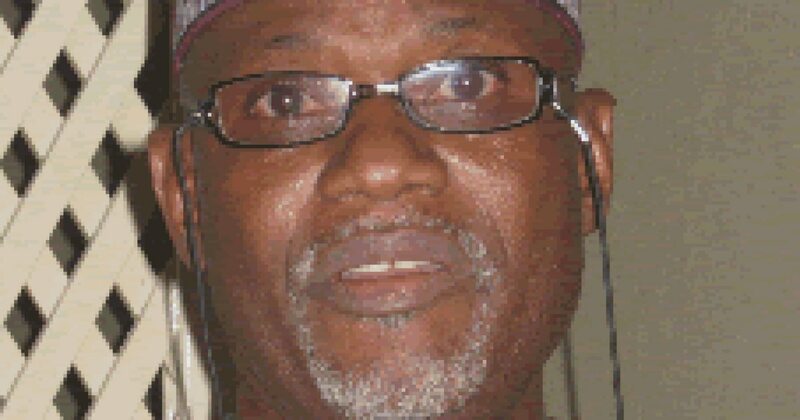 Before the violence, Sen. Hunkuyi had told Journalists that they were sidelined in the election of the party’s delegates that held on Saturday. The elected delegates would represent the Kaduna APC during the non-elective national convention of the party. Mr. Hunkuyi remarked that as stakeholders they ought to be contacted and enabling environment provided for them to participate. But the Kaduna APC, in its reaction by the publicity secretary, Salisu Wusono, said the election was “credible, free and fair,” while the party insists on the suspension of Mr. Sani. “The Kaduna state APC executive council, together with our local government party chairmen and other stakeholders, wish to address you today following the successful conduct of our delegates’ congress on Saturday, 29th July 2017. We salute the cohesion and party spirit demonstrated by our members that made the congress successful. “The good conduct of our party stalwarts and members across the state has been consistent and notable, and the state executive wishes to place on record its gratitude to our members,” Wusono said. Addressing reporters at the NUJ secretariat, Spokesman of APC Akida, Senator Suleiman Hunkuyi, alleged that they were at the party secretariat on Friday from 2:30pm till 730pm, waiting for the party leadership and observers from the national headquarters to conduct the delegates conference without anybody showing up. Hunkuyi was supported by Senator Shehu Sani, Hon Isah Ashiru and Alhaji Haruna Saeed Kajuru, House of Representatives members Alhaji Hassan Shekarau, Alhaji Mohammed Usman, Malam Musa Soba, Dr. Tijjani Ramallan, Alhaji Audi Yaro Makama and Ambassador Sule Buba, among others. Meanwhile, thugs stormed the NUJ premises saying they won’t allow the press conference to hold. And despite the presence of about 30 armed policemen, some of the thugs made their way into the hall, almost at the end of the press conference and unleashed mayhem on journalists. They left a cameraman from Liberty TV injured. Some cameras were destroyed. Phones, tape recorders and other valuables were carted away. The NUJ national has said that some desperate politicians who are bent on destroying Journalism and Journalists in Kaduna have continued with their dastardly acts on the media, adding that the most recent development is frightening to the Union as it signals clearly that such attacks on the media are not going to abate any soon. In a press release signed by the NUJ National Secretary, Shuaibu Leman, Walin Shadalafiya stated that political thugs sponsored by some dangerously reckless members of a political party invaded the Press Centre, venue of a Press briefing by some APC members of the National Assembly and attacked both Journalists and politicians, destroying media equipment and inflicting bodily harm on some Journalists. “We regret to note that Kaduna is ingloriously attaining notoriety as the deadliest state for Journalists in Nigeria to operate with harassment of Journalists and increased repression of press freedom. As professionals whose responsibility is to monitor governance and hold Government accountable to the masses, Journalists now live in perpetual fear of being arrested by security operatives or attacked by faceless assailants without any just cause,” part of the statement reads. In his statement on Sunday, Mr. Aruwan did not respond to Mr. Sani’s specific allegations, but warned against political violence and attack on the press. “Politics should not be a desperate game. And desperation should not be visited on journalists or any citizen. The government of Kaduna State will not tolerate any attempt to muzzle the press and innocent citizens from exercising their constitutional rights,” said Mr. Aruwan.